A bountiful Mare Chiaro at Il Fornaio in Santa Clara. So conditioned are we these days to thinking negatively about chains that we often dismiss them without a second thought. But bigger doesn’t always mean mediocre or less personalized. Case in point: Il Fornaio. 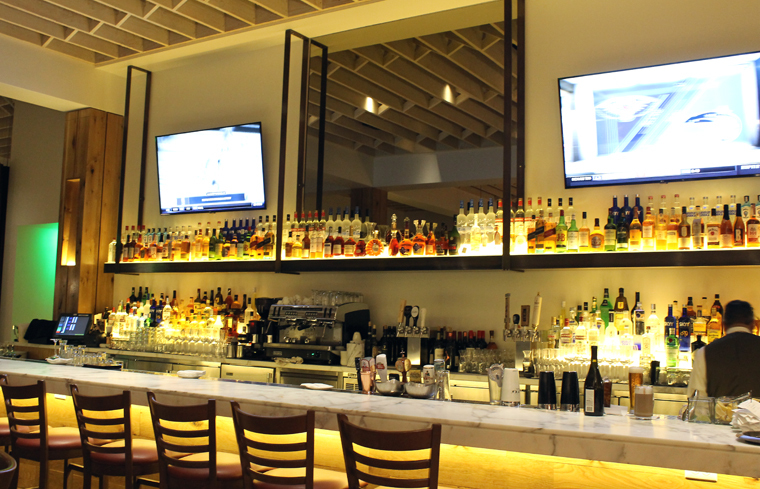 The Italian restaurant chain started in the Bay Area, but now has 23 establishments not only throughout California, but also in Colorado, Virginia, Washington and Nevada. 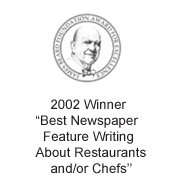 I admit I hadn’t dined at one in quite awhile, even if I’d always had fine experiences at them, including when I held my wedding rehearsal dinner at the San Francisco locale years ago. 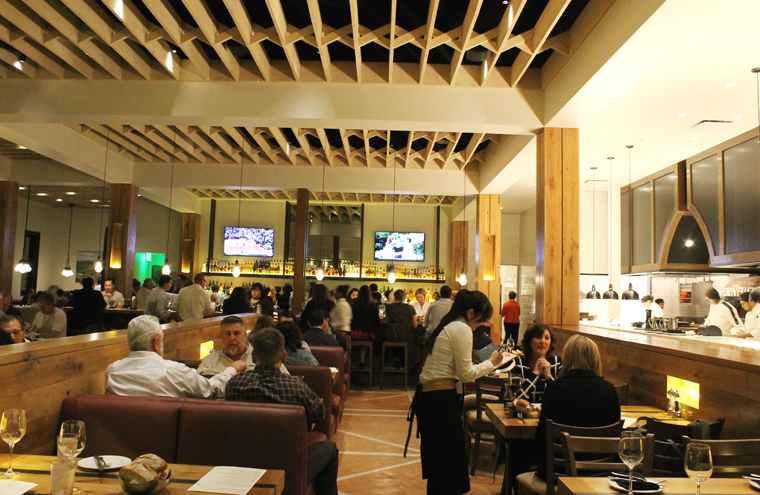 So, when I was invited in to dine as a guest at the newest Il Fornaio, which opened last month in the new Santa Clara Square retail-residential complex, I knew it would be satisfying, but I honestly had forgotten just how good the food really can be. After all, it may be a chain, but it takes the time and effort to make its own breads and pastas, which is no easy feat. And it does so exceptionally well. Fetching a bottle of wine. The Santa Clara restaurant is a huge 150-seat affair housed in a 6,200-square-foot building that has the air of a modern-day Tuscan farmhouse with soaring ceilings, weighty wood posts, a wide-open dining room, an open kitchen, and stylish glass-enclosed wine storage cases that reach to the ceiling and are accessible by a library ladder. The kitchen is equipped with a 750-degree Italian pizza oven with a rotating floor, and a rotisserie that spins vertically. 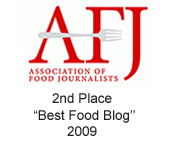 This restaurant also marks a milestone for the company. It’s the first in its 30-year history to open with a female head chef at the helm, Leslie Pineda, who was a former executive chef for Francis Ford Coppola. Crowds are already flocking to the newest restaurant, as evidenced by the full dining room on my visit. Mario Lombardo, vice president of operations, told me the restaurant has already done a steady-stream of corporate events, and at lunch-time on weekdays, it’s typically a full-house. 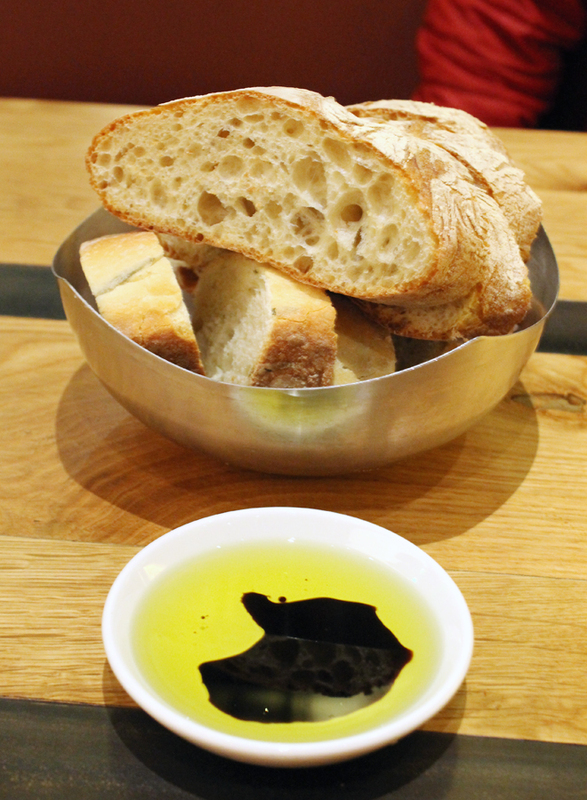 A basket of fresh bread arrives at the table with olive oil and balsamic vinegar to dip into. 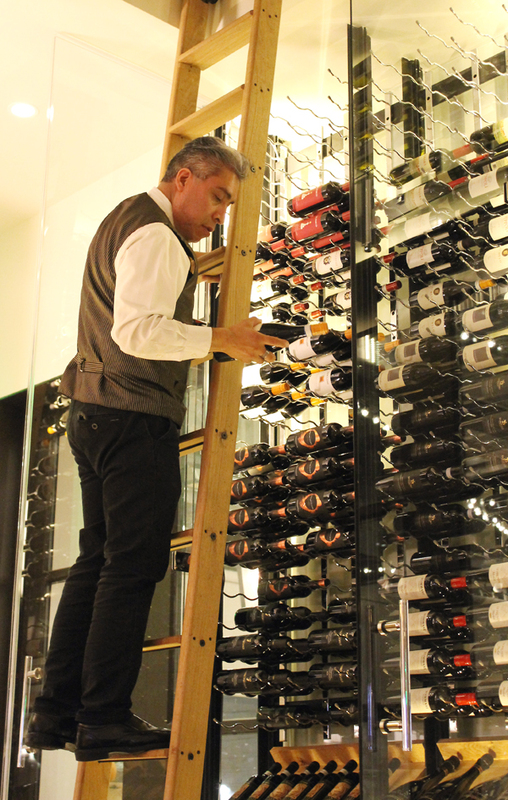 Wines are available by the 6-ounce glass, 9-ounce glass and bottle. 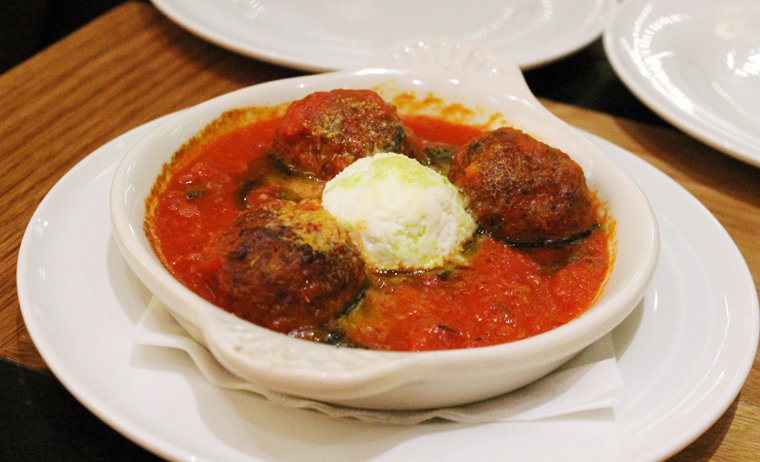 As unbelievable as it sounds, it was only a month or so ago that Il Fornaio restaurants added meatballs to their menus. Now, you can enjoy them as an appetizer or even atop pasta or pizza. As an appetizer, three polpettine ($11) come to the table in a deep dish full of marinara sauce. A scoop of sheep’s milk ricotta is dolloped in the center. They get extra moisture from whole wheat bread that’s been soaked in milk. The meatballs are fluffy and light with a sharp cheesy flavor. They’re everything you’d want in a great meatball. By the way, the Il Fornaio menu also lists the calorie-count of every dish — which you may or may not want to know. Those meatballs? Well, they weigh in at 460 calories for the entire dish. 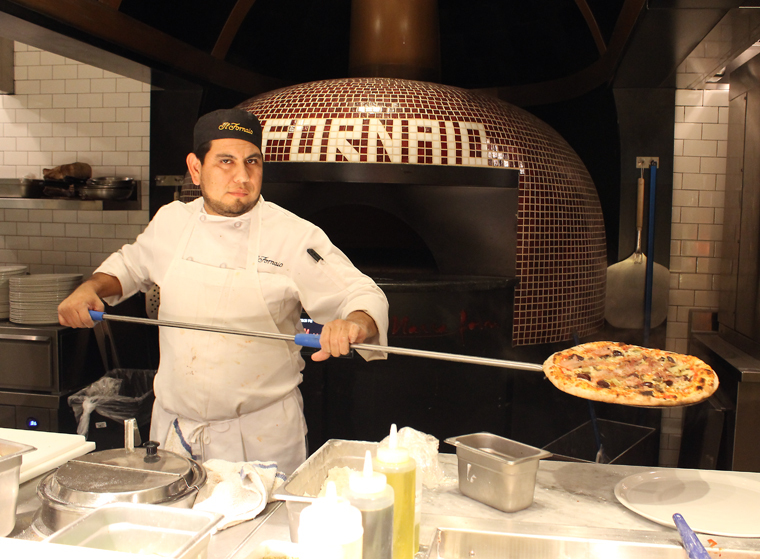 My husband’s favorite pizza is the Cristina ($21), which he orders anytime he dines at an Il Fornaio. It’s a pie crowned with mozzarella, grana padana, mushrooms, wild arugula, white truffle oil, and a generous amount of paper-thin slices of prosciutto that are draped over after the pizza comes out of the oven so they remain soft and buttery. It’s Neapolitan-style, so crisp on the eges, but softer toward the center, especially because of all the toppings. 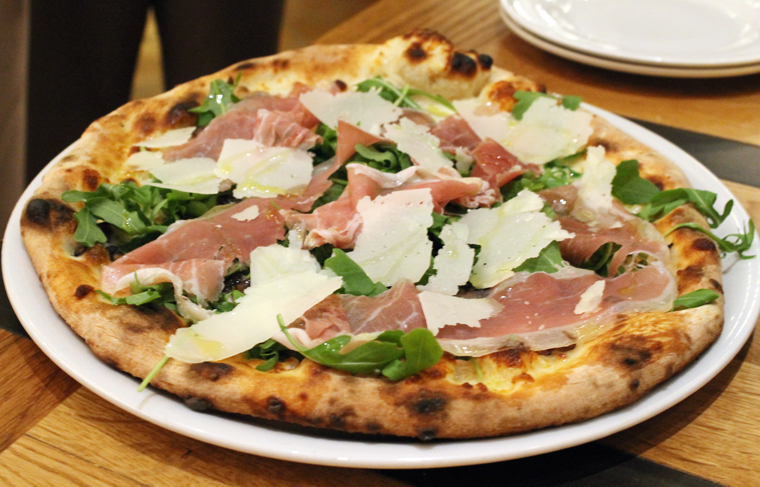 Prosciutto aplenty on this favorite pizza. Perfect pasta dumplings filled with butternut squash. Most of the pastas are available in two sizes: small and regular. 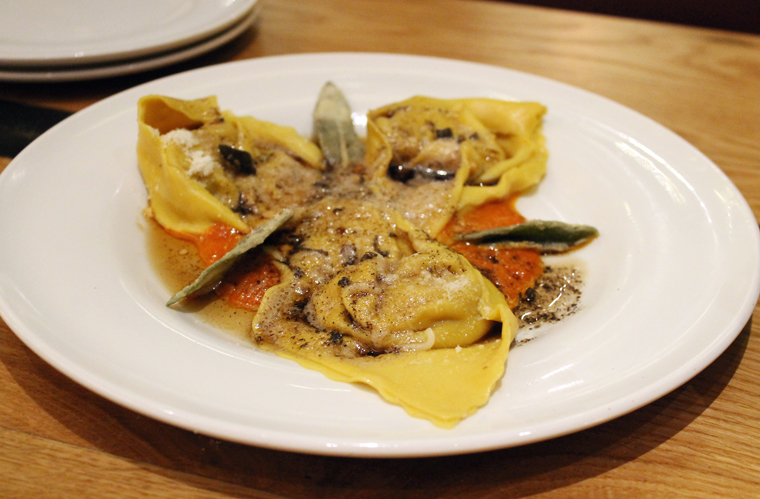 We tried a small of the cappellacci ($16/$19). Now’s the perfect time to indulge in these supple pasta dumplings filled with sweet butternut squash puree and bits of toasted walnuts, then dressed with tomato sauce and brown butter. The fried sage leaves added a terrific element of crunch. 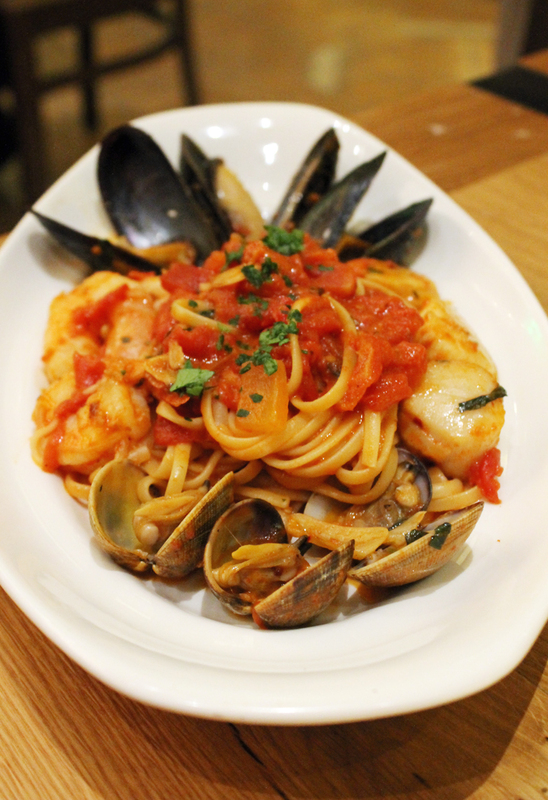 The Mare Chiaro ($25) is a big portion of linguine laden with prawns, scallops, clams, and mussels in a slightly spicy tomato sauce. It’s a long-time signature dish, and rightly so. 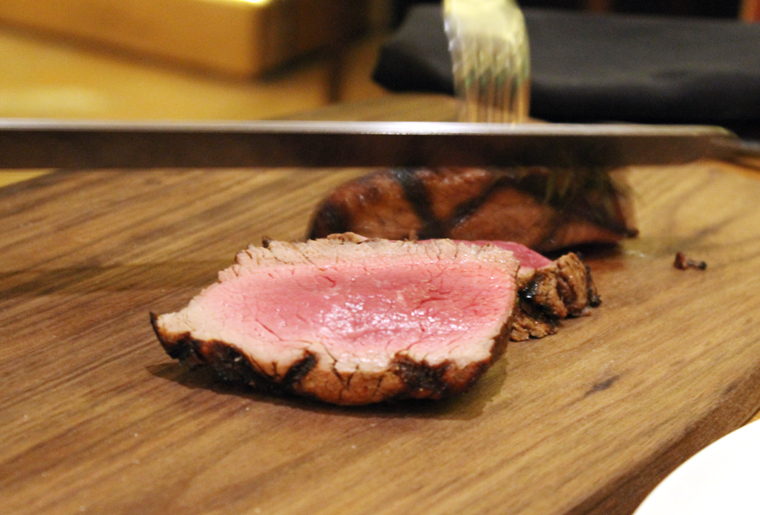 We shared the filetto ($39), which was carved at the table for us. 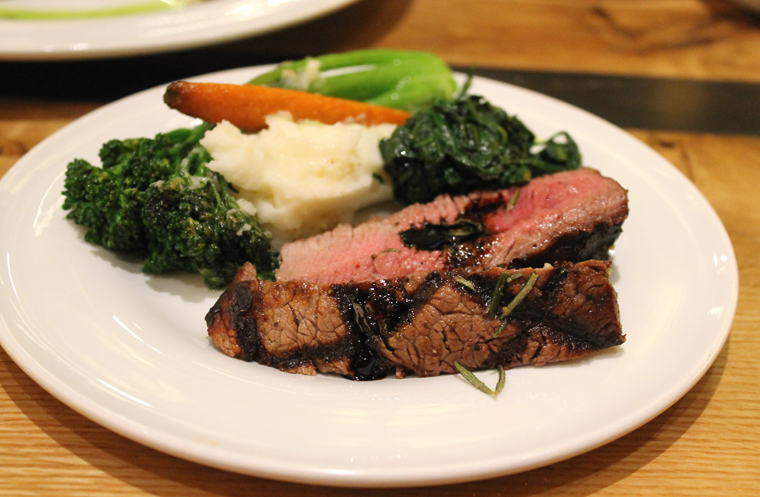 It’s certified Piedmontese beef tenderloin from grass-fed cows, so it’s leaner than corn-fed Angus with a robust flavor and a toothsome chew. It was nicely crusted on the edges, and garnished with a zesty balsamic-green peppercorn sauce. Rounding out the plate were creamy, thick mashed potatoes and organic spinach. The trio from one angle. 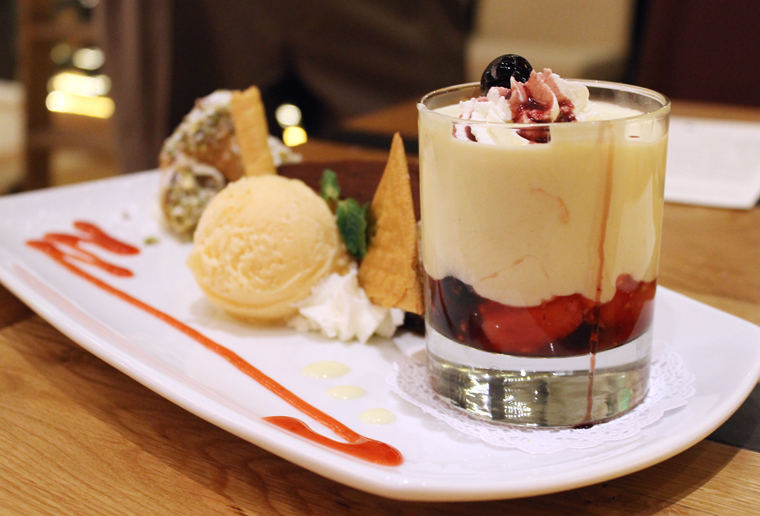 If you’re wavering between desserts, just go for it and order the Dolce Trio ($18.50) to share. 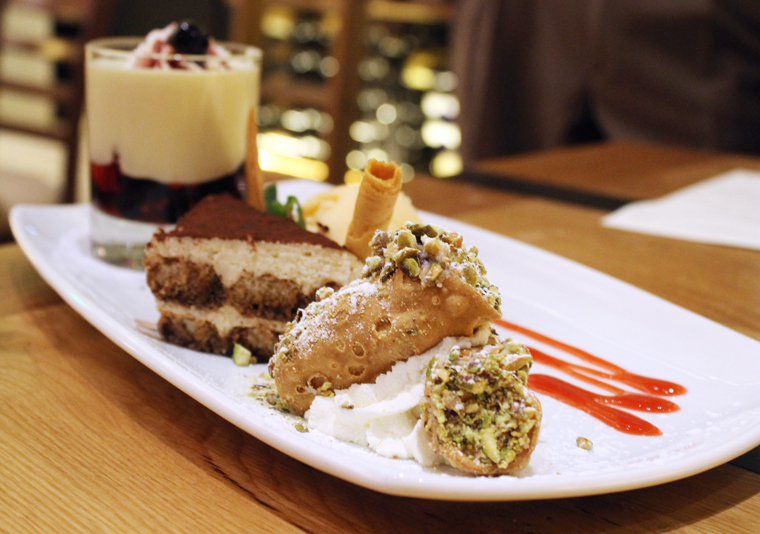 It’s a sampler of classic tiramisu that’s creamy and redolent of marsala; cannoli Siciiliani, crisp pastry cylinders filled with ricotta and a flourish of pistachios; and Zabaione alla Gritti, which was my favorite of the three with the eggy, foamy custard sauce covering fresh berries, a scoop of bellini sorbet and an amarena cherry. Yes, the calorie-counts are listed for the desserts, too. But trust me, you don’t want to know what it is for this one. Just enjoy. 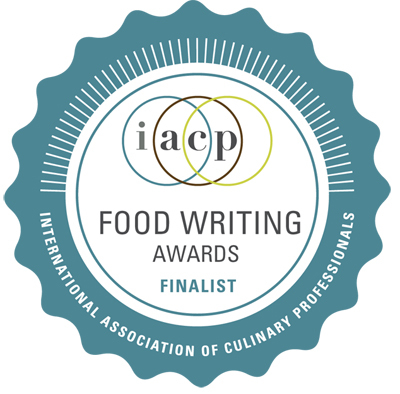 And if you haven’t been to an Il Fornaio in awhile, there’s definitely no time like now to remember what you’ve been missing. wow, thank you for sharing this! definitely going to bring my wife there for a nice night out. Looks amazing. The dishes sure look good! Have to try the restaurant. Great photos! I liked the ones of the “trio” taken from both sides. Yum!